Strategy-minded and results-producing, an international commercial executive with experience in business development, international regulatory, global health policy & HTA processes, Jorge joined AbbVie Romania in November 2018. Previously he held the position of General Manager AbbVie Finland and General Manager of Immunology Global Marketing. Jorge is an entrepreneurial professional with a sense of urgency to deliver integrated, customer-focused solutions for patients and the society, proactive multicultural team builder focused on strategic planning, problem-solving, turnaround management, and innovative process improvement. AbbVie is a global, research and development-based biopharmaceutical company committed to developing innovative advanced therapies for some of the world’s most complex and critical conditions. 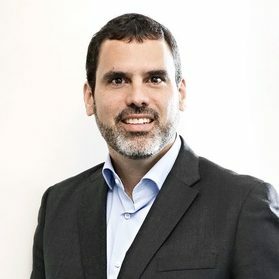 The company’s mission is to use its expertise, dedicated people and unique approach to innovation to markedly improve treatments across four primary therapeutic areas: immunology, oncology, virology, and neuroscience. In more than 75 countries, AbbVie employees are working every day to advance health solutions for people around the world. For more information about AbbVie, please visit us at www.abbvie.com. Follow @abbvie on Twitter, Facebook, LinkedIn or Instagram.